Cool!!! 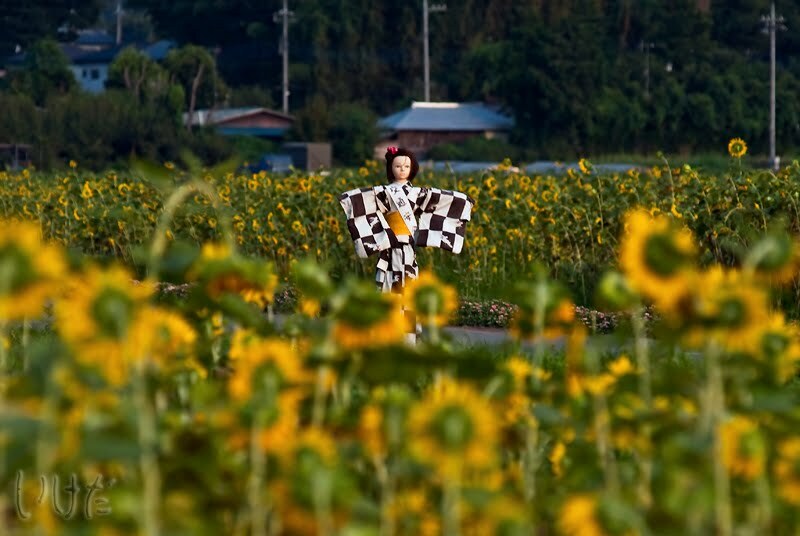 I have never seen any scarecrow so beatiful before. Greetings. What pretty scarecrows! I think if I were a crow I'd be more intrigued than scared. Yeah, they are pretty. And kind of creepy (at least to me), and very fashionable. 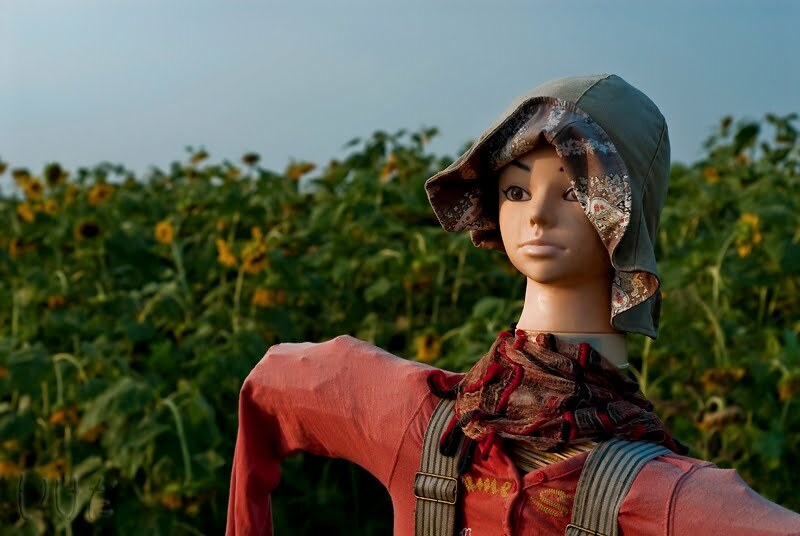 We'll try to find some more snazzy scarecrows, because it looks like we're going to visit more fields in a very near future. ... to be a bird !